美加國際雙證書！Shakti Yoga Canada + Om Factory NYC ! An ayurveda focused teacher training to empower yoga teachers & practioners to bring the healing properties of yoga’s sister science into their personal practice and instruction. Ayurveda is an ancient Indian healing science which both underscores and builds upon the teachings of yoga. 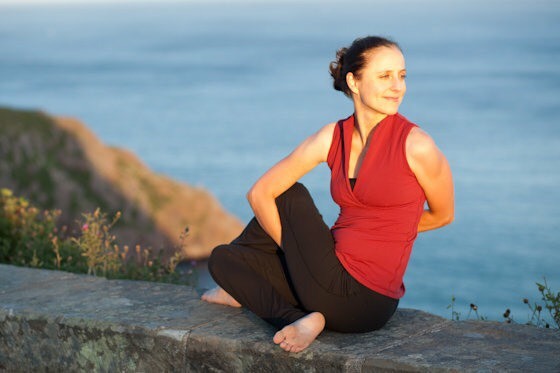 Ayurvedic techniques and practices designed to flow easily into personal yoga practices, private sessions, and group asana class instruction are presented. Teaching modalities will include lecture, asana, pranayama, mantra, massage, and practicum portions. l Introduction to ayurveda philosophy and origins. l Ayurvedic perspectives on disease and healing. l Specific asana for each type of dosha imbalance. l Incorporating time of day, seasons and other cycles into class design. l Pranayama for dosha balance. l Mantra for dosha balance. l Use of singing bowl sounds for chakra and dosha balance. l Introduction to incorporating aromatherapy into yoga classes. l Use of colour and gem stones to balance doshas in personal and class settings. l Intro to basics of ayurveda oil massage theory. l Marma point massage techniques for private and group asana sessions. l Doshas, gunas, and subtle body topics such as vayus and chakras. l Tongue, face, nail and pulse diagnosis. l Yoga Teachers wanting to bring ayurvedic teachings, and techniques into their class preparation and instruction. l Ayurvedic practioners who would like to learn how to weave their ayurveda knowledge into a yoga class setting. l Yoga students who want to bring ayurveda into their personal lifestyle and yoga practice. l Anyone interested in learning how ayurveda can bring life balance through the use of diet, lifestyle, seasons, physical postures, breathing, sound meditation, and other ayurvedic techniques. 原價 40,000，4/5 前報名享超早鳥優惠價 $29,888 !